Malloy, Etzler & Lawhead, P.C. – Malloy, Etzler & Lawhead, P.C. Concentrating in Workers’ Compensation, Personal Injury Law and Social Security Disability. 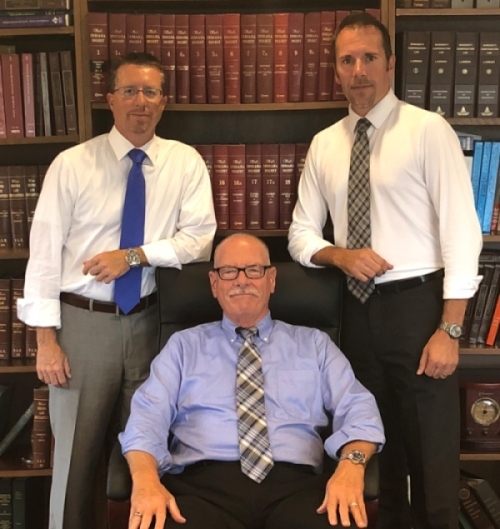 Malloy, Etzler & Lawhead, is an Indiana law firm, concentrating in the areas of Workers’ Compensation, Personal Injury, and Social Security Disability in Indiana and Illinois. Our firm is recognized as a leader in Workers’ Compensation and Personal Injury litigation, with attorneys whose experience spans decades. Our location in Highland, Indiana gives us the privileged position of being able to represent clients throughout Indiana, the Chicago metropolitan area and Illinois. “Mr. Malloy and his Assistant Beth Lopez have been such wonderful attorneys! They have been very courteous; responsive to emails; always informative and knowledgeable. I would highly recommend Mr. Malloy and his staff! Always so nice and friendly! Since its inception over a hundred years ago, our firm has focused its practice on Workers’ Compensation and the representation of injured workers in Indiana and Illinois. Clients come to us for their personal injury cases because they know that we level the playing field and represent them aggressively against big insurance companies and corporations. SSD cases often begin with a denial. Our firm cuts through the red tape and represents you through the various stages of the application process so you can recover the benefits you deserve.